雖然離市區比較偏一點(5-10 min by motorbike),但房子很大,位置靠近河邊,不會吵到鄰居。服務人員很nice,只是浴室有時候會沒熱水,但不是甚麼大問題。 PS.地點不是太好找，抵達之前最好先聯絡好。不過我們到的時候比較晚，司機找不到該在哪條巷子轉進去，還好2個管家好像一直在街上等我們，不斷向我們揮手，後來還是靠他們帶我們到達villa的! Wonderful staff and place although we had experienced some tremors to deal with. Will go back again. It was good, but breakfast portion was small, the villa is a bit old but it was a lovely place, with our own private pool and very close to nature. Staff was friendly and helpful. This was truely an amazing experience. The view from the large wooden terasse deck to the river and vegetation below, was breathtaking. But even more amazing, was the staff in and around the villa. We were taken such good care off. They made our stay one of the best in Bali! Santi (the villa manager) and the staff even helped us make a fantastic party when our friends, who where also vacationing in Ubud, came to visit us. They decorated the entire villa with flowers, incense and everything. Made a mouth-watering lunch and barbeque dinner and arranged for massagetherapists during the day and balinese dancing after dinner. 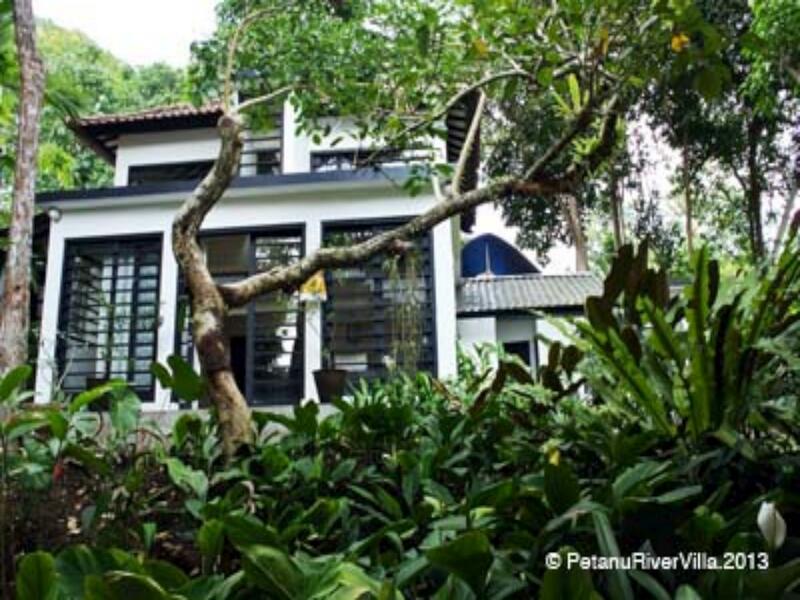 Truely a memorable stay in Petanu River Villa. THANK YOU.